Somewhere on a remote desert island only big enough for one coconut tree and the odd pineapple, die hard Excalibur fans have been waiting for the day either artist Alan Davis or writer Chris Claremont would touch the franchise again, so they can rejoin society and end their vigil. Today's news that Chris will launch a new Nightcrawler ongoing in April - with artist Todd Nauck at his side - may not be the news they were waiting for, but it's so damn near close, I'd expect a good dozen to be rowing for shore as we speak. 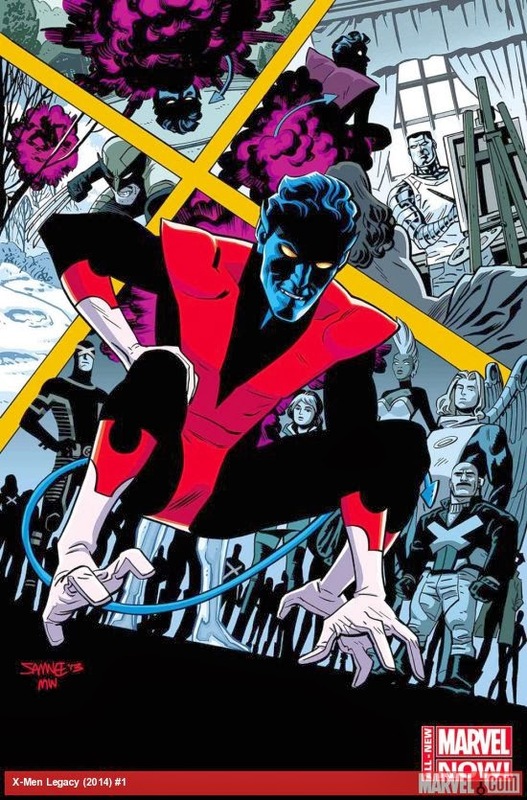 Originally sketched by co-creator Dave Cockrum to be a member of The Outsiders, a team within the Legion of Super-Heroes franchise, Kurt Wagner gained a different origin when Dave jumped ship for Marvel. 'Bamfing' his way into the hearts of everyone who picked up an 'All-New, All-Different' X-book, the faithful German acrobat helped give rise to mutant mania at the House of Ideas, and was the standout character in the movie X-2. Killing off Nightcrawler, personally speaking, was paramount to killing off Storm. He's one of the few X-Men I feel sees the Professor's dream through to the end - for better or worse. Now that he's back from the afterlife, Kurt's humourous action and adventure stylings will also serve as a reintroduction of sorts to the X-universe for recently absent fans, judging by Claremont's plans to have the elf tour the new x-landscape with his bestie, Wolverine. From the death of the Professor, to Cyclops splinter group, the change Chris tells Marvel.com affects Kurt hardest, is one a little closer to his former lighthouse home. I think there's a hidden message for us all there. Neither. Can. I. Good on Marvel for giving Kurt an A-list team too. Nightcrawler has needed this shot.